Fernbank Science Center is proud to announce the 17th season of this very popular program for young students. 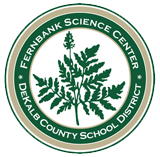 Each Science Night Out is an evening packed with hands-on STEM activities led by Fernbank scientists, LINKS Robotics high school students, and mentors of the Fernbank LINKS Robotics team. Typical comments from previous years were, “This is so cool!” "Mom, I don't want to leave!" and "When is the next one?" January 25: Engineering with Engineers– LINKS Robotics members team up with local engineers to provide an exciting evening of designing and creating different kinds of structures. The students are encouraged to participate in the 16th Annual Bridge Breaking Event sponsored by the Association of Civil Engineers, held at Fernbank Science Center on Saturday, February 23, from 1-3 PM. The Bridge Breaking Event is FREE and open to ALL! It is a fun opportunity for students to work alone, with a friend, or even with a parent or grandparent. March 15: STEM LINKS Style – Linking Ideas and Networking Kids with Science is what LINKS is all about. LINKS Robotics members will lead students in a variety of hands-on activities, showcasing some of their favorite activities! April 12: GA Tech Graduate Students and LINKS Alumni will partner with current LINKSters to lead hands-on activities related to their personal college areas of study. Some of these alumni inspired current LINKSters to join the team as a result of participating in Science Night Out as elementary and middle school students. May 3: Mystery Night – What will the theme be? Who knows, but it will be awesome.